This might be the most underrated car on sale today. While the likes of Mazda CX-5 and Hyundai Tucson sell more than 2000 per month the Peugeot 3008 is finding just over 200 buyers. What the French brand may lack the heritage and reputation of its Japanese and South Korean rivals, it makes up for when you spend anytime in the new 3008 as you’ll be pleasantly surprised. The new 3008 is not only a good Peugeot, it’s as good as any mid-size SUV on sale today. This is a new generation product, based on a bespoke PSA (Peugeot-Citroen-DS parent company) underpinnings, rather than borrowing a Mitsubishi platform as the 3007 and 4008 did. The French company’s most recent models that share the underpinnings, the Peugeot 308 and Citroen Grand C4 Picasso, have impressed us at Drive. So what makes the new 3008 so underrated? Read on. 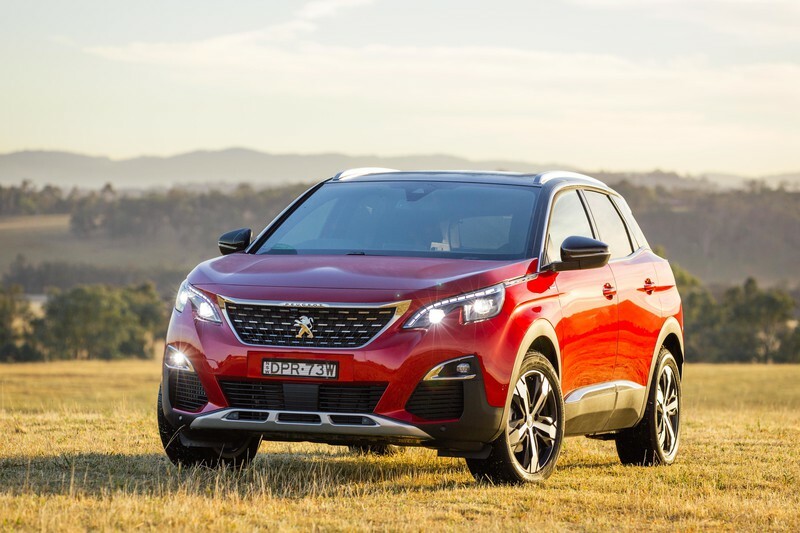 Peugeot has opted not to try and compete directly with its Asian rivals and doesn’t offer a 3008 in the sub-$30,000 price range. Instead the range begins at $36,990 for the Active model, which puts it on par with the likes of the Volkswagen Tiguan 110TSI Comfortline (from $36,990) and Mazda CX-5 Maxx Sport (from $37,390). For that money you get a good list of standard equipment, from 17-inch alloy wheels, dual-zone climate control, a digital instrument cluster, 8-inch touchscreen, navigation, digital radio, Android Auto, Apple CarPlay, Bluetooth and a wireless smartphone charging pad. Standard safety features include full airbag protection, forward collision warning and lane departure warning. However, autonomous emergency braking isn’t available on the Active and is an optional extra on the Allure, adding $1500 to the price because it is packaged with adaptive cruise control, blind spot monitoring, auto high beam and driver attention assist. We’re testing that mid-spec Allure variant, which is priced from $39,490 and gains 18-inch alloy wheels, keyless entry and ignition, semi-autonomous parking, a felt dash trim and a 360-degree parking. There’s also the $43,490 GT-Line, which gets an interior fragrance package, extended ambient interior lighting, LED headlights and a sports bumper and grille. The range is topped by the GT, which gets a unique turbo diesel engine as well as 19-inch alloys, Alcantara seat and dash trim and powered driver's seat adjustment for its $49,490 asking price. Servicing is covered by Peugeot’s capped price servicing program, which only covers the first five years of ownership. The visits can be expensive too, so over the first three years/60,000km you’ll be paying $1587 to keep your 3008 maintained. 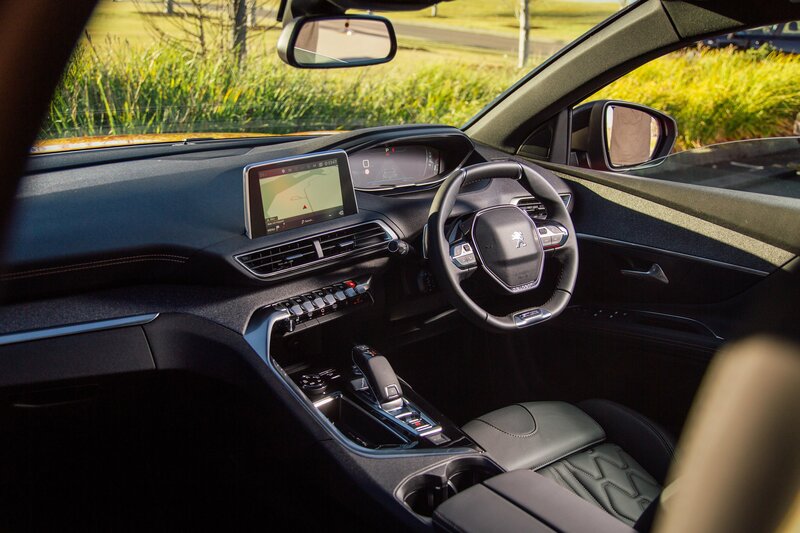 The 3008’s cabin is one of the nicest of any mid-size SUV, with a stylish but practical layout that in Allure specification borders on premium car finish. The seats are comfortable and supportive up front and there’s good room in the back seats, with adequate knee room for adults and just enough headroom for anyone under 180cm. There’s also plenty of small item space, including the wireless charging pad, deep door pockets and a very deep lidded storage box between the front seats. The infotainment system is intuitive to use, with a good combination of touchscreen functionality as well as physical buttons that help you quickly navigate through the various functions - stereo, air-conditioning, navigation, etc. The switchgear looks great too, with a soft chrome finish to most of the important buttons, further adding to the premium feel. But the 3008 does have its polarising elements, most notably what Peugeot calls the ‘i-Cockpit’ which, in simple terms, is a combination of a 12.3-inch digital instrument cluster set high on the dashboard and a small, squared off steering wheel. The idea is the wheel sits underneath the dashboard, rather than have you look through the rim to read the important information. In theory it’s a nice solution, as the digital dashboard is well presented with easy-to-read, but still stylish, graphics. However, getting the wheel in the driver’s prefered position, while still seeing the dashboard can be a challenge for some particularly tall or short drivers may struggle to find an ideal driving position. Personally this road tester had to set the compact rim slightly lower than ideal but it quickly became comfortable. The Active, Allure and GT-Line are all powered by a 1.6-litre four-cylinder turbocharged petrol engine. It produces 121kW of power and 240Nm of torque and gets paired to a six-speed automatic transmission that sends drive to the front wheels. While those may seem like modest outputs, the 3008 tips the scales at a relatively light 1371kg, which means it feels sprightly on the road. There’s some tardiness off the line as the turbo spins up but once the engine is in its sweet spot it pulls strongly through the mid-range. The six-speed automatic transmission is well matched to the engine, offering smooth shifts and finding the best ratio for the occasion. The fiddly gear selector won’t be to everyone’s tastes but that’s a minor criticism. 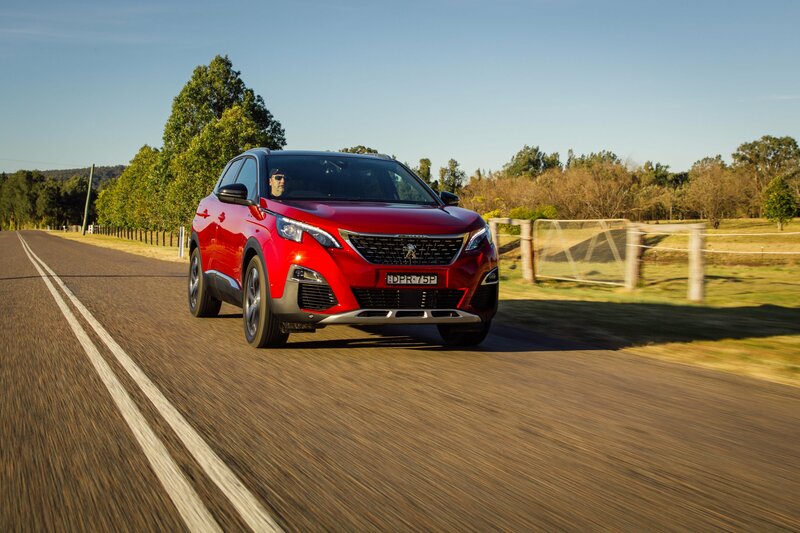 The decision to opt for front-wheel drive for the majority of the range underlines the 3008’s target audience, city dwellers who want a stylish, high-riding SUV, rather than anyone looking to take it into slippery conditions. The handling of the Peugeot is excellent, with nicely tuned steering and a responsive chassis making it feel agile and engaging to drive. But it’s the ride that impresses even more. 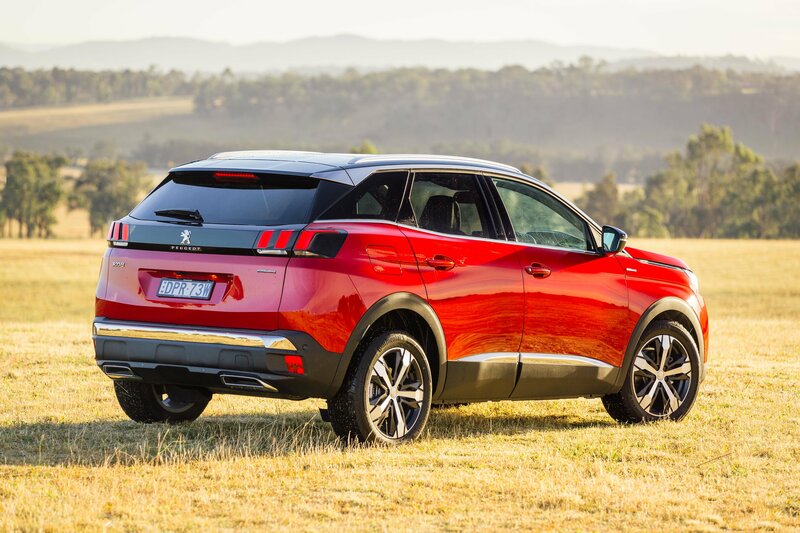 Unlike so many European cars that are tuned too firm for Australia’s patchwork roads the 3008 offers good compliance over bumps so it feels comfortable across a variety of conditions. Peugeot has produced a polished, stylish and practical mid-size SUV that is as good as anything else on the market. It’s not perfect, of course, with expensive ownership costs and the uncertainty over its resale, given the standing of French brands in Australia. Plus the lack of AEB as standard is disappointing at this price point. However, those are not deal breaking problems, so anyone in the market for a mid-size SUV should take the time to consider the 3008.